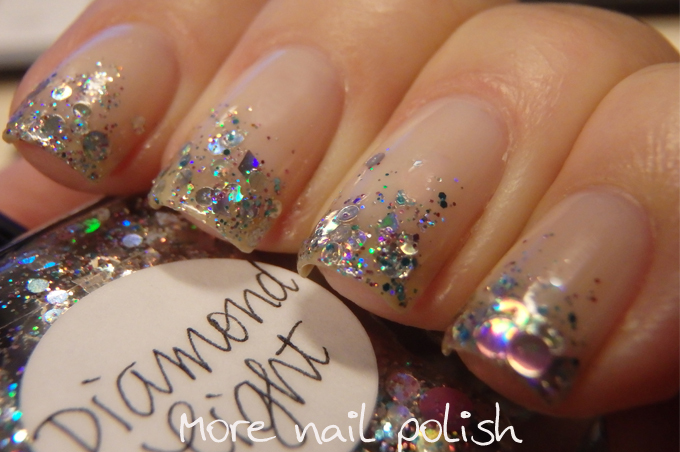 Something really simple to show you tonight, a good old glitter tip gradient. 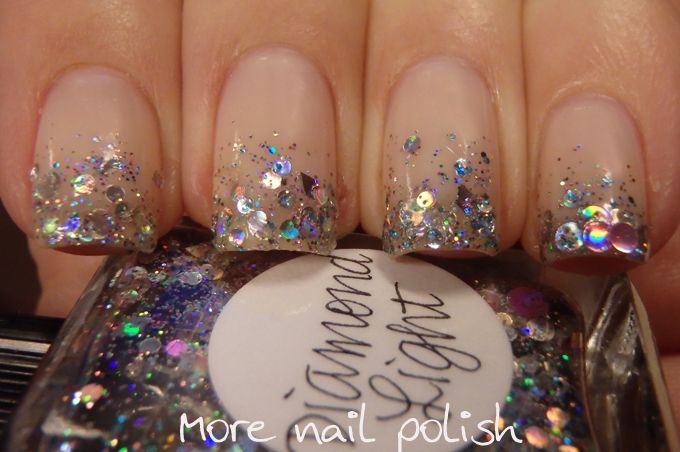 My base is two coats of OPI Don't touch my tutu and the glitter tip is sponged on layers of Lynnderella Diamond Light. Bleah, I'm boring tonight, I have nothing interesting to tell you. Time to see sparkly nails and then to move along. 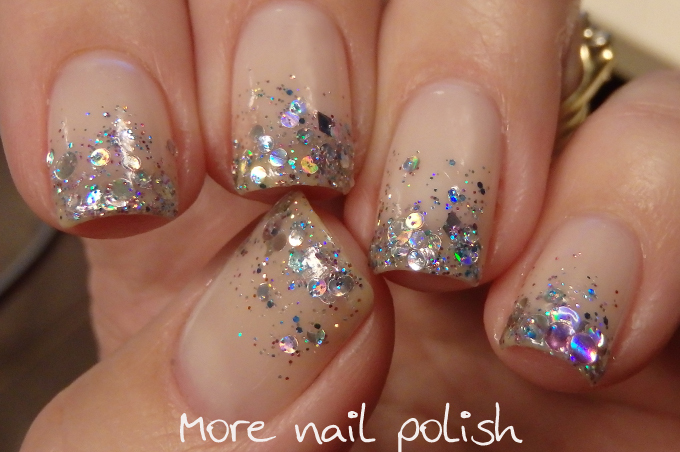 Kitties, this mani is simple and sparkly. No, you are never boring! We all love you and your work! 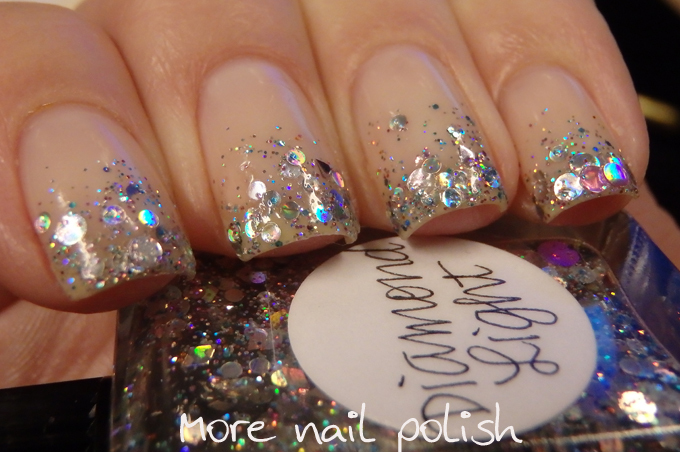 No, you are not boring, I have never done a glitter gradient, there I said it and I feel the shame. I have looked at several videos over the last week, looking for a nice, classy way to do it, I know I watched a couple of your videos.